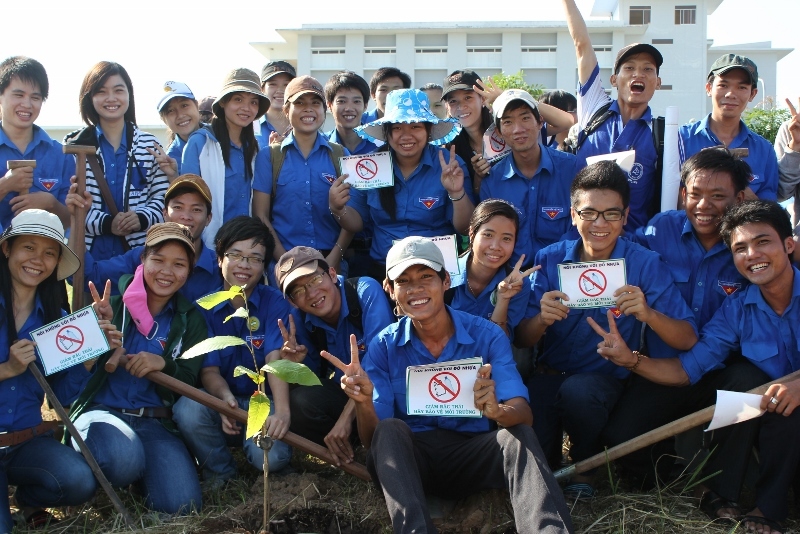 JCJ was actively involved in climate action in Vietnam over 2012 and 2013. No doubt we will be again soon. Your ideas on how we can best contribute are welcome. 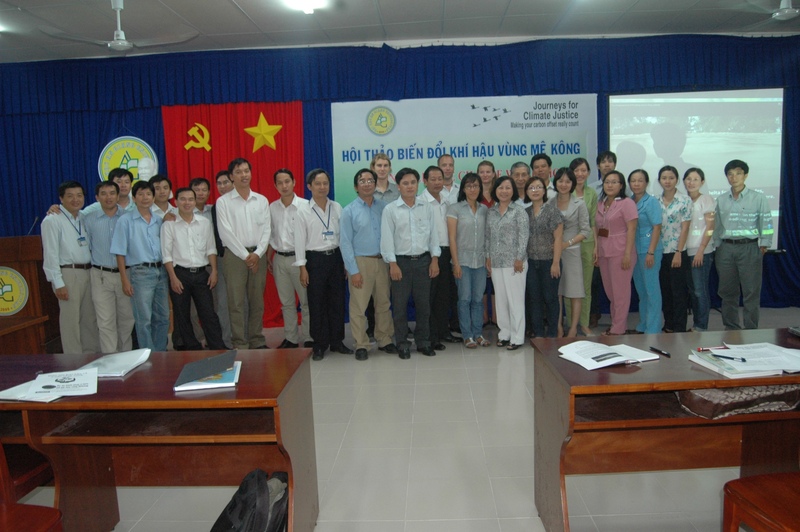 This project, ran over March/April 2012, aimed to raise awareness of the impacts of climate change in the Mekong Delta, and promote appropriate response measures (adaptation and mitigation), as well as encouraging a transition to environmentally sustainable lifestyles. We ran a number of activities including a climate change conference, small workshops, a tree planting day, distribution of educational materials, and a plastic-free campaign! Strong networks of supporters were forged, which paved the way for future projects in the Mekong. The project involved leading climate change and environmental experts from universities, NGOs, government departments and unions. 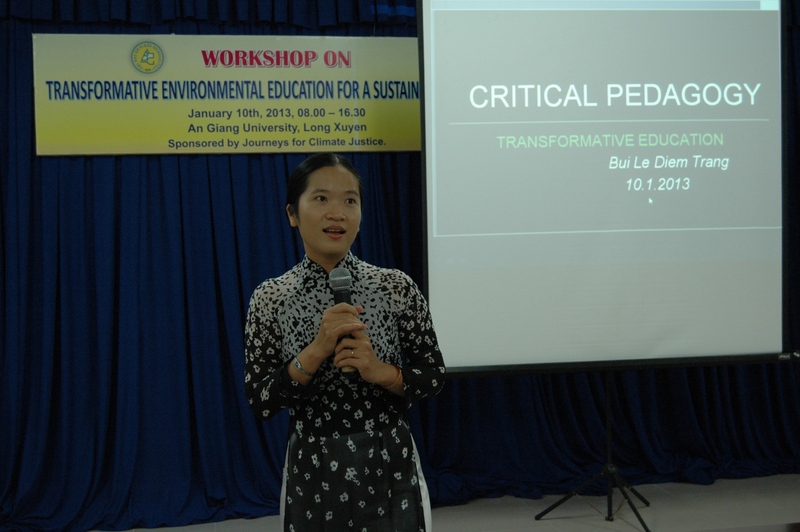 At the time, this project was at the forefront of climate change action in the Mekong. 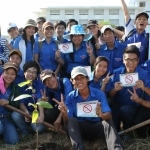 The initiative for the project came from JCJ-volunteer Pat Kirkby who developed it with academics and students from An Giang University situated at Long Xuyen in the heart of the Delta. Pat produced a number of research papers based on his experiences. 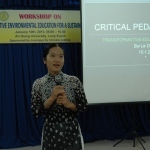 These research papers focus on strategies to achieve a sustainable energy future for Vietnam, and overcome the barriers to climate change action. These papers have since been translated into Vietnamese and widely distributed through our networks. 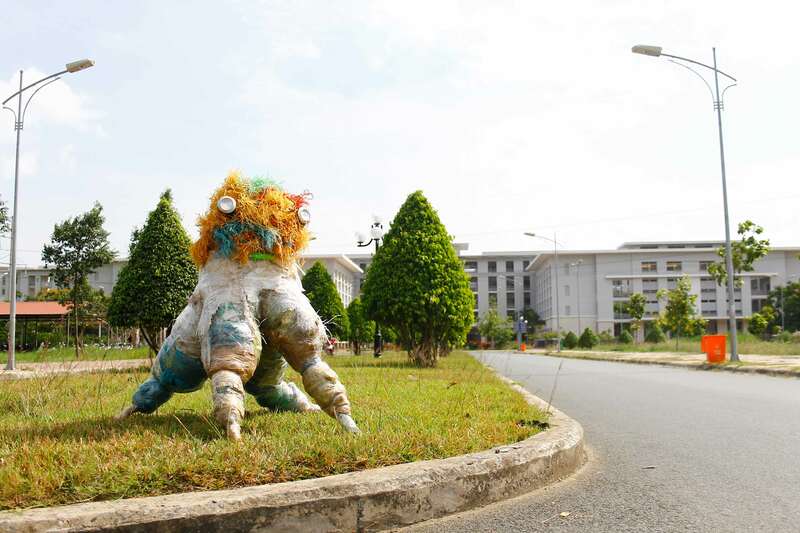 JCJ also sponsored an exhibition of sculptures made from plastic waste, with an aim to raise awareness for environmental conservation. Daniel Bladh was a key person in leading these initiatives. Daniel came into the JCJ family through his exposure to our Mekong Project. Daniel is an environmental professional from Sweden. 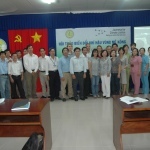 Photos of the Mekong project can be found on JCJ’s Facebook Page, and updates were posted on our blog at the time. 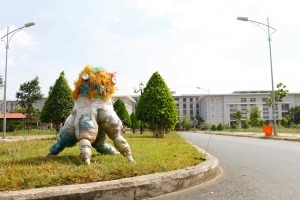 “Vietnam is believed to be one of the most vulnerable countries to climate change in the world due to its long low-lying coastline and exposure to typhoons, storms, and heavy and variable rainfall. One study has estimated that sea levels may rise by 33 cm by 2050 and up to 1 meter by 2100. A 1-metre rise in sea level will affect some 11 percent of the population, impact 7 percent of the country’s agricultural land, and reduce the Gross Domestic Product (GDP) by as much as 10 percent.” Source – Danida (accessed October 2014).